Despite covering new cars mostly here at Autoblog, a number of us have gone down the used-car road. There are a lot of pros and cons for both new and used cars, and a simple purchase price doesn't tell all the story. Insurance, maintenance and depreciation should all be considered with every car purchase. Depending on what you're looking for, going used can net you a far better deal. New cars come with a lot of perks. First, they're generally unsullied. No errant french fries or unwiped sneezes (unless an assembly-line worker was having a particularly bad day) taint the car's interior. No curb rash or scratches tarnish the exterior. It's a clean slate, ready for you to use and abuse as you see fit. New cars also come with nice warranties. Sure, you can purchase certified pre-owned vehicles, but there's nothing like having the full breadth of a manufacturer's backing. A lot of luxury cars also come with several years of no-cost maintenance. This should not be ignored. Routine maintenance can get expensive on certain vehicles, so running costs should be factored into a car's purchase price. Technology and safety equipment are improving at a rapid rate. The same with advances in fuel economy and emissions. Owning a new car usually means owning the latest and greatest, from things like infotainment systems with Apple CarPlay and Android Auto to active safety equipment like blind-spot monitoring and a billion airbags to protect you and your Uber or Lyft passengers. Cars that are even a few years old might lack simple things like Bluetooth audio. Buying used, even by a single model year, can save you thousands of dollars in depreciation. Someone else has already eaten that cost. Still, some people want things simple, and oftentimes that means going with a used vehicle. Sure, you might miss out on some of the latest tech, but so what? You listen to the radio most of the time anyway. And what are you going to do with your 100-disc CD binder? A lot of new cars are ditching CD players entirely. Aside from generally costing less, the biggest reason to purchase a used car is depreciation. The moment it rolls off the dealer's lot, a new car's value can be cut by 10 percent, then another 10 percent on average for the first year — and with some unpopular models, it's a lot worse, even up to 50 percent. Unless you're buying something like a Porsche 911 R, there's no getting around it. Buying used, even by a single model year, can save you thousands of dollars. Someone else has already eaten that cost. The savings you get from buying used generally means you can step up to a higher-spec model for less money. Sure, it's been used, but shop around and be patient. You're bound to eventually find a car that's been loved and cared for. For the same money as a new car, you can likely get a car with leather and a V6 rather than cloth and an inline-four. Sometimes you can even get options like paint colors or engines that are no longer available. Generally, things like insurance and annual registration tends to be less expensive with used cars. New cars cost more to fix and thus more to insure. Cars are also more reliable than ever before, so even a car with 50,000 or 60,000 miles still has a ton of life left. Plus, by that time, most early recalls and early-run issues will have been fixed. 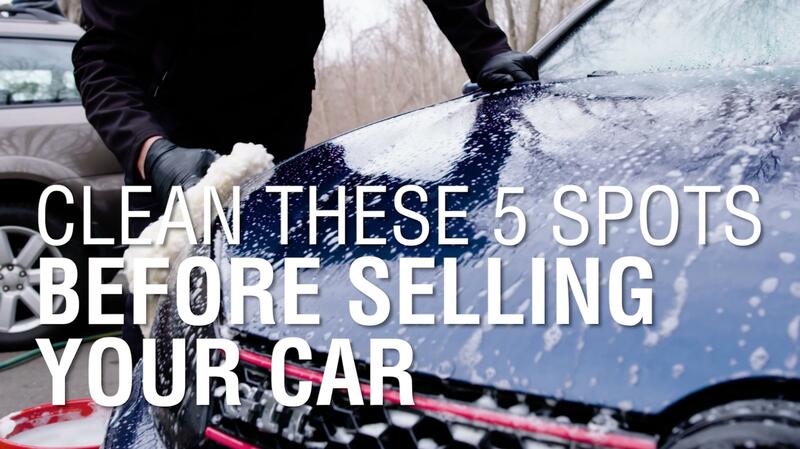 If one owner failed to treat problems, find a car that was taken care of. There's a lot to consider. Figuring out a budget should be the first priority. Then it's a matter of balancing what you want and what you need. Some people would never go used, and a whole other group of people think new cars are for suckers who don't care about depreciation. There's no right answer, but a new car isn't always the best option.